The second film by George Pal adapting an H.G. 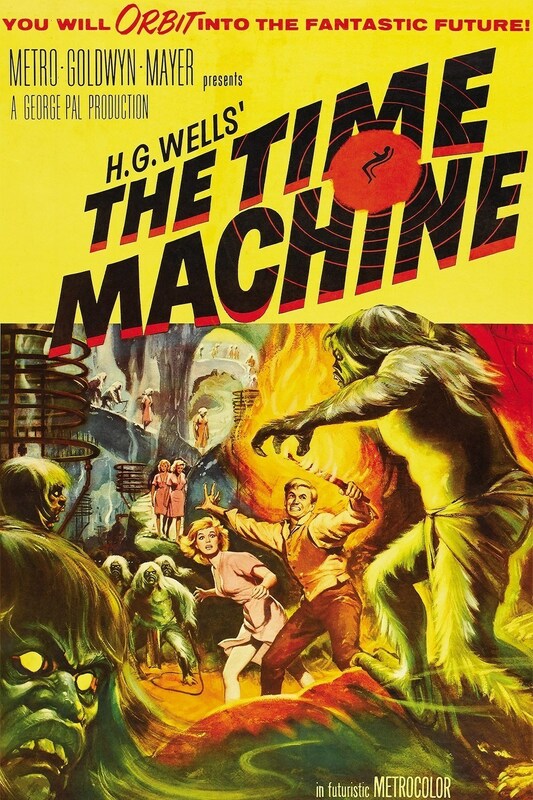 Wells novel, the first being “War of the Worlds,” “The Time Machine,” falls into many of the same categories as the other adaptation – Good effects, lousy characters, but a great job adapting Wells’ message about the strengths and weaknesses of mankind. H.G. Wells was way ahead of his time, coming up with ideas for science fiction stories in the 1800s and developing the blue print that every alien invasion and time travel story comes from. 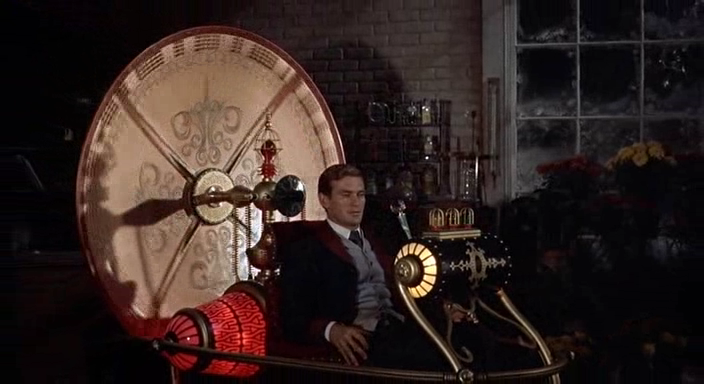 “The Time Machine” follows inventor George Wells (Rod Taylor) who has developed a machine that allows him to travel through the fourth dimension of time. He demonstrates the device to his colleagues, but they can’t believe in such a contraption. When George gets fed up with living in the present, he uses his machine to travel into the future and see how far mankind has come in the year 802,701 A.D. The film takes a while to get going, since George spends the first third of the film contemplating what the future will be like and why he has no interest in going into the past (even though he built in that function), as well as going into the future by just a few years. It doesn’t help that George comes across as the typical action hero who has to save the day. Overall, I enjoyed “The Time Machine” for its unique approach with time-lapse photography and how far mankind will have come in thousands of years, whether that is forward or backwards. The pacing isn’t anything to write about and I don’t remember anything about the characters. This is worth checking out to see where time travel got its science fiction roots.